Go Metro and receive $10 off! 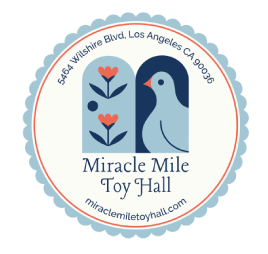 We sell unique toys and games from around the world, and we welcome families to play with and touch our open box toys, enjoy our train table, and relax while shopping. Mention “Metro” or “Purple Line Extension” or show this page on your smart phone and receive $10 off purchases of $50 or more.